New Design Contest page, check it out! Simple, beautiful & user friendly, check out our new contest page. Perhaps you have already seen it, we have provided different parts of the website in the last few months with a fresh look. With the aim to make the website more accessible and clearer. That is why we adapted the Design Contest page. In this email we would like to show you what has changed. In the new contest page we want to give as much attention as possible to the submitted designs, which must be more visually. This has resulted in larger display of the designs and also that we use the whole page to show them. 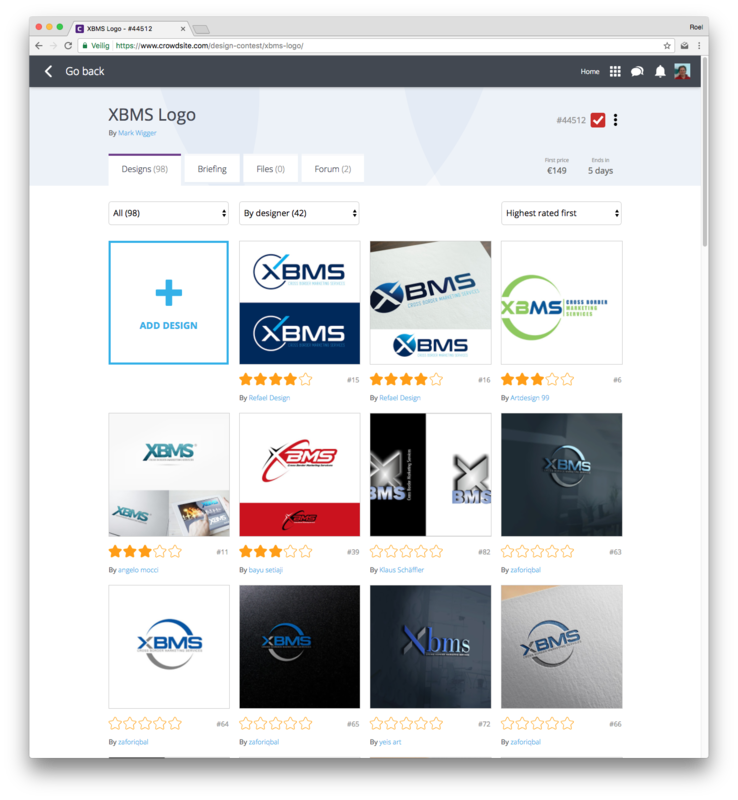 This gives you a good idea of all submitted (logo) designs at a glance. Designers can also upload higher quality designs from now on. This allows clients to view the designs in full screen and even zoom in to make the best assessment. We have made the process clearer by adding a timeline to the contest. Here you can see quickly what the following steps are, whether you´ve gone through all steps and if the contest is completed. In addition, we replaced the menu on the left with 4 simple tabs. Here you can find all the information about the contest even faster.